Choose Heine Propane for the premier, comprehensive propane company in Saginaw, TX. We are the propane experts for Tarrant, Hood, Johnson, and Parker counties. Don’t wait! Call us at 817-341-7240 for quality you can depend on. Autogas Conversion Looking for a reliable alternative fuel that is affordable, accessible, and clean-burning? Consider propane autogas! At Heine Propane, we perform propane autogas conversions for gasoline and diesel vehicles. Budget Autofill Program Do you ever wish you didn’t have to check your propane level and call to schedule a refill? You might be interested in our helpful and easy budget autofill program! Bulk Propane Storage For many businesses, bulk propane storage gives you more control over how you use your propane, from refueling vehicles or powering appliances. Along with refills, we can also provide bulk propane deliveries and inspections. Commercial Propane Services When you need propane for your company, choose Heine Propane! Call us today for expert commercial propane delivery and tank installation. Heaters & Generators Need a propane delivery or your commercial heater or generator? Heine Propane is glad to help with all your propane appliance needs. New Construction If you’re building a new residence and need a propane installer, choose Heine Propane! We offer a variety of sizes and options for any budget. Propane Delivery Always reliable and fast, Heine Propane is proud to offer the best prices on propane delivery in Saginaw, TX. Whether you have a large or 100 gallon residential tank, we are here for all your propane needs. Residential Propane Services Let the experts take care of all your residential propane deliveries, installations, and more. Give us a call for all your Saginaw, TX propane needs. Tank Inspection & Repair Is your tank rusted or in need of a new valve? Before every delivery, our technicians will perform a leak test, and we can perform more thorough inspections and repairs if needed. Tank Installation Whether you need a small residential tank or several large storage tanks installed, we’re the guys for the job. 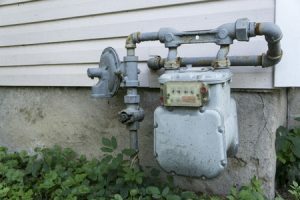 Our expert contractors will properly install your propane tank to abide by all state, legal, and safety restrictions. Underground Propane Tanks Because of the special requirements for underground propane tank installation, the process is typically more costly. When you have a knowledgeable installer, however, an underground tank performs just as well as an above ground tank. Family owned for over a decade, Heine Propane has served the community of Saginaw, TX with unbeatable propane service. Not only can you count on top quality service, we will also match or beat other prices so you always get the best value with Heine Propane. Call 817-341-7240 for propane delivery in Saginaw, TX today!